• Prior Art: Do pre-issuance submissions by third parties lead to higher quality patents? • What are the exceptions to the first-to-file approach under AIA? 17.00 AIA and NPEs: Impact or more of the same? • What’s the future for NPEs under the reformed legislation? • Will the Joinder Provision level the playing field and what does the playing field really look like? 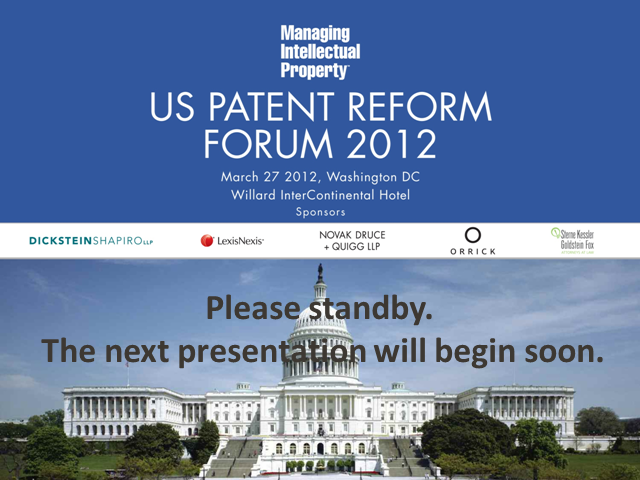 • Patent Troll or ‘Skeptisaurus’? Is there a possibility of a more positive perspective?